You read the title right! 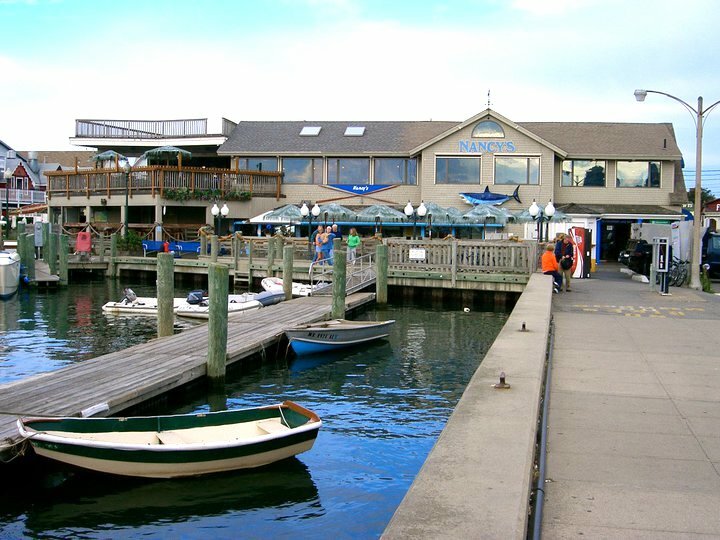 Now you can get breakfast at Nancy’s on the Oak Bluffs Harbor! Not the usual bagels, eggs, muffins etc., but beautiful fruit packed Açaí bowls. Now I have to admit that I am yet to have had a South American super fruit based Açaí bowl, so this was my first one. First I have to say it felt a littler weird being at Nancy’s Snack Bar before 9:00 a.m. Usually I have the kiddos with me for a bite or am next door waiting for one of Donovan’s frosty treats. On this day, I went for a run and ended up here, starving! 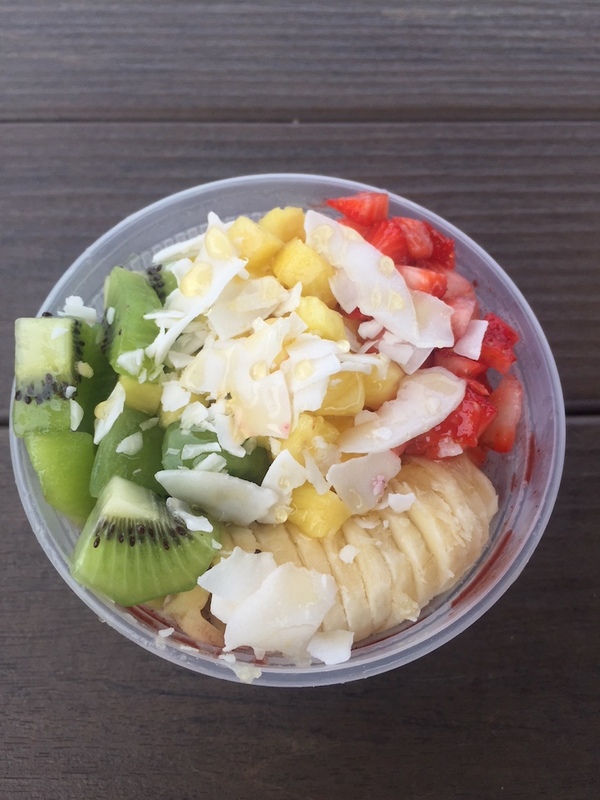 There are a number of signature Açaí bowls to choose from. It was tough to decide. Each one had things I like. 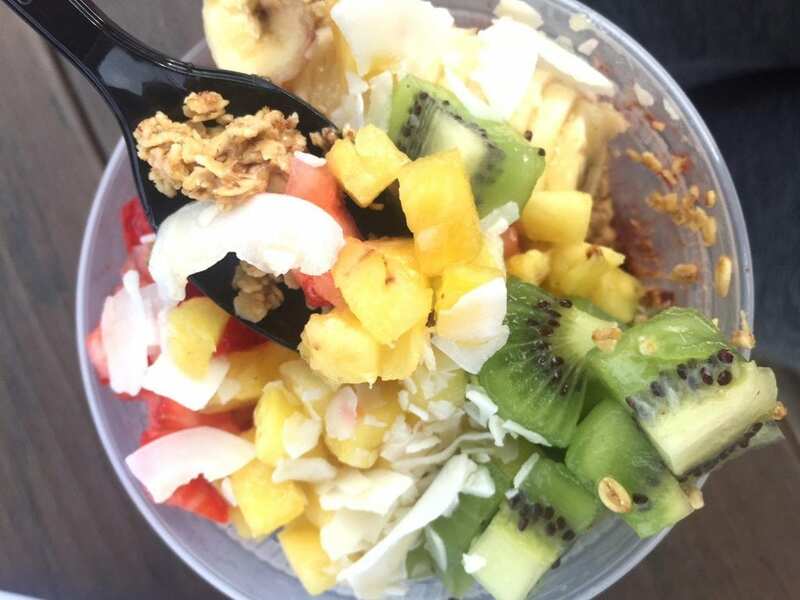 I ended up with The Day Tripper, which had Açaí, granola, coconut, honey, strawberry, pineapple, kiwi, banana and I added on peanut butter. Each bowl has fun Island inspired names. There’s also The Year Rounder, South Beach Berry, Sunday at Norton, and The Clean Banana. 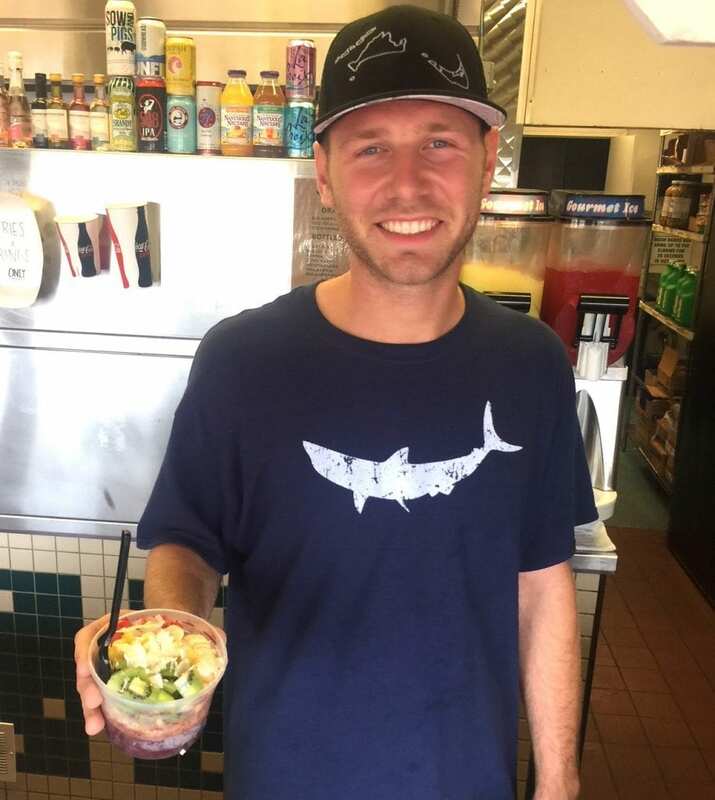 Anthony Saunders, Nancy’s Açaí bowl master, was out there making the bowls. 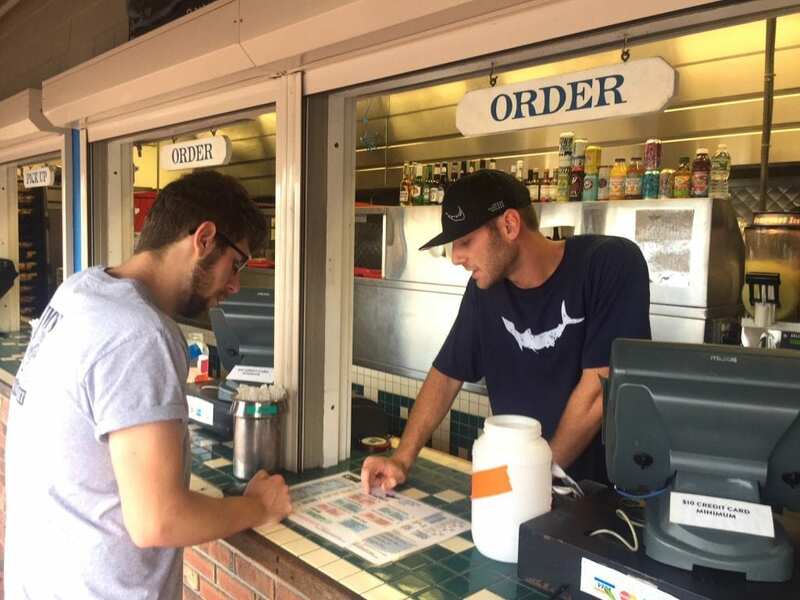 He’s the whole reason this great addition to the Oak Bluffs breakfast scene happened. He has been making Açaí Bowls for several years now. He met Nancy’s owner Doug Abdelnour and Christina Izzo in Jupiter, Florida. When Doug and Christina are there during the winter months, they are regulars where Anthony works. He is well known for Açaí bowl skills. From what I learned, it can be tricky to get the right consistency of the Açaí puree, but he’s got it down. Lucky for us, he was free for the summer months, and when asked to come work his magic on Martha’s Vineyard, how could he refuse. Back to the bowl. I have heard all the hype about Açaí bowls, and it’s valid. These things are darn good. The Açaí comes frozen and tastes more like dairy free ice cream than fruit. It’s cold and super yummy, sweet but not so too sweet. Add all those super healthy toppings and fruit and peanut butter, and you’ve got a really delicious breakfast that leaves you super full. 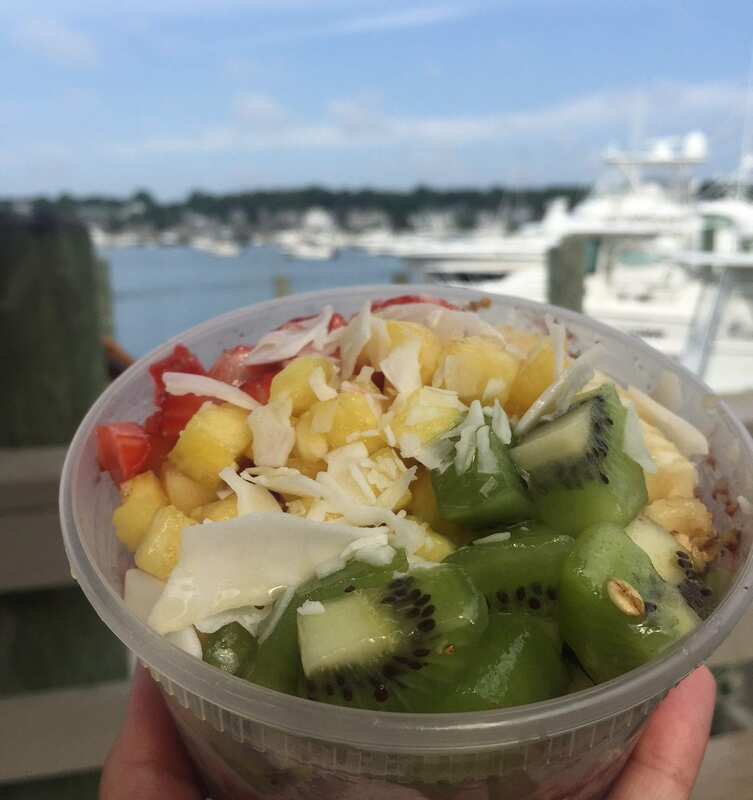 An added bonus to your healthy breakfast experience is sitting outside watching the morning activity on the Oak Bluff’s harbor. Oak Bluffs is quiet and lovely in the early morning hours. You can also get your coffee fix too, Nancy’s offers Back Bay Roasters Cold Brew. 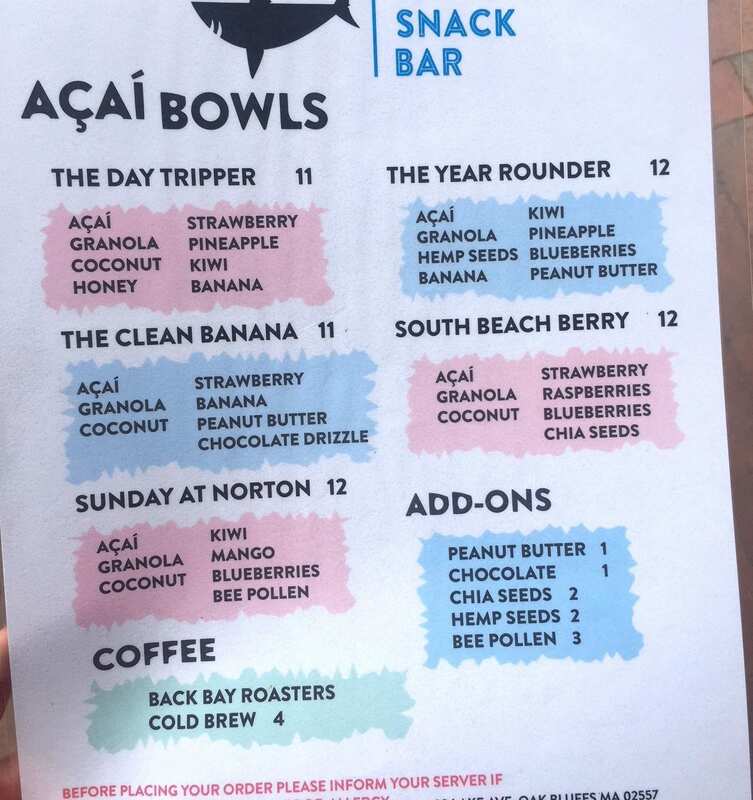 Nancy’s Snack Bar Açaí bowls are available from 8:00 AM to 11:00 AM. Bowls are $11 – $12, with add ons like hemps seeds, peanut butter, or bee pollen which are $1 – $3. Thanks Nancy’s for the healthy breakfast option in town. The only bummer are that the bowls come in single use thick plastic bowls. Thanks for reading On Point MV. You can also learn more about Nancy’s Restaurant and Snack Bar on Facebook. Don’t forget to “Like” us on Facebook, and follow us on Twitter, Linked In, Google+, Pinterest, Youtube and Instagram.